Administrator can reset password of any Team Member. 1. Go to Action menu. 2. Click on Reset Password. On click pop up for resetting password will appear. 3. Reset password and confirm the new password. 4. 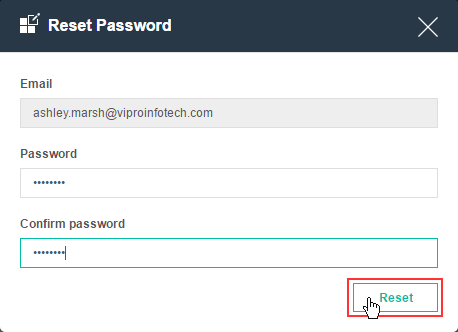 Click on Reset to save new password.